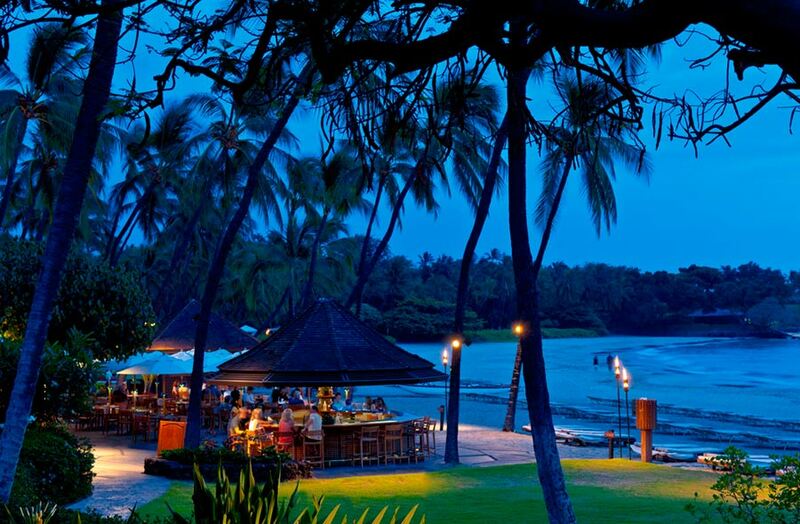 The big island’s iconic hotel marks its 50th year of sharing the aloha spirit. It’s amazing what one man with a vision can do. 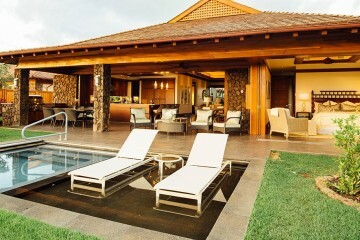 Back in the ‘60s, renowned developer Laurance S. Rockefeller stood on the black lava fields of the Big Island’s Kohala Coast and imagined building a world-class resort. The fact that there were no roads, power or water available at the time in this corner of paradise didn’t stand in his way. 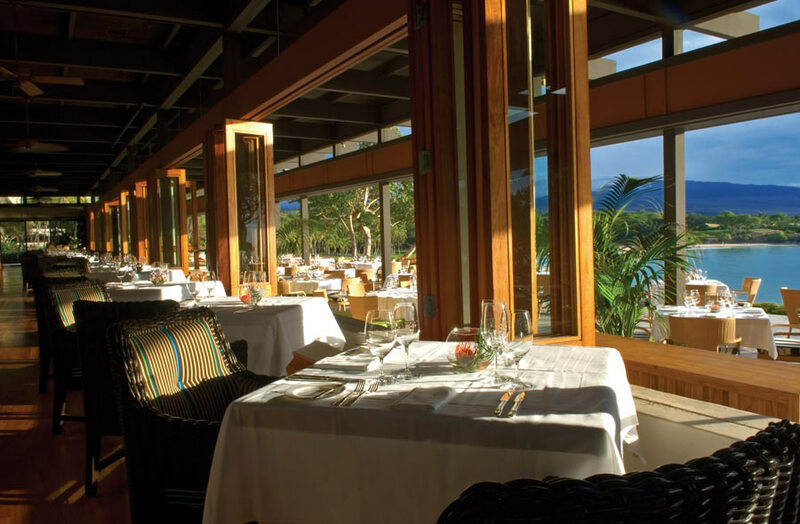 He was inspired by the pristine beauty of Kauna‘oa Bay, and, being a conservationist ahead of his time, he was determined to build a resort that would blend into the natural environment. 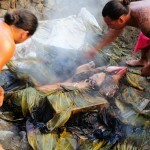 His goal was to offer guests a blissful escape from everyday distractions, and he succeeded brilliantly. 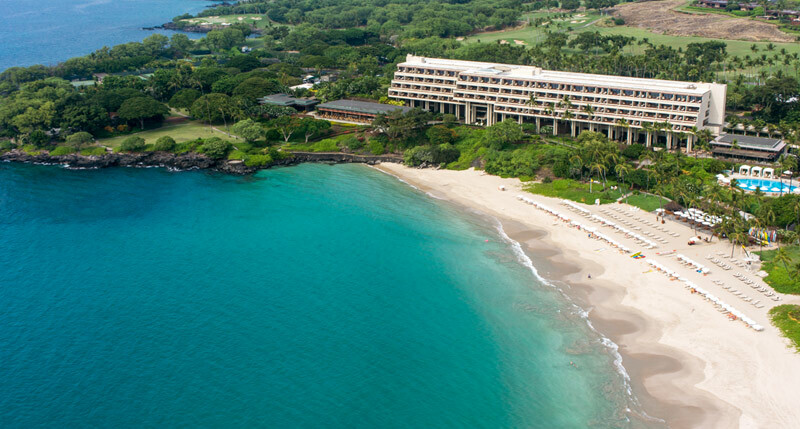 Now, 50 years later, guests continue to experience the magic of the Mauna Kea Beach Hotel. 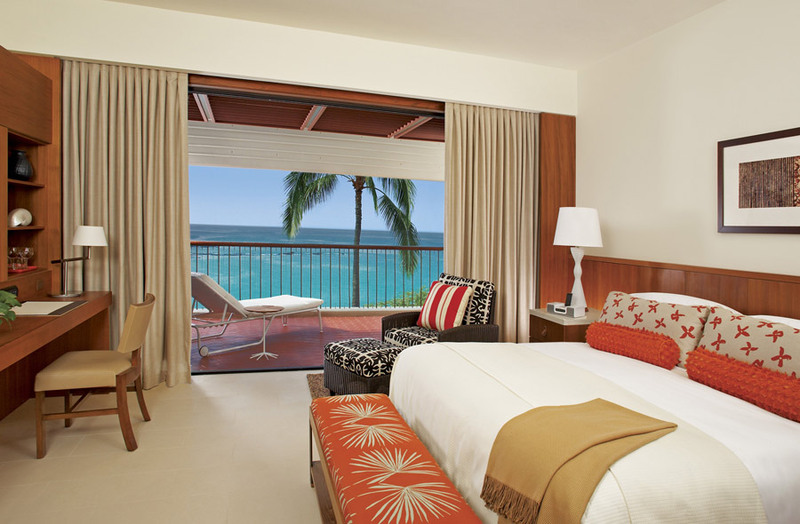 Thanks to its award-winning architectural design by Skidmore, Owings and Merrill, the hotel is perfectly positioned to take full advantage of the island’s cooling trade winds. 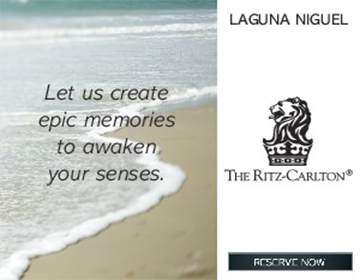 Its spacious atrium lobby welcomes guests with an ocean of blue tile that leads outdoors to the real thing. 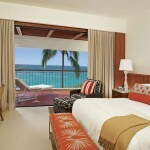 In fact, it’s hard to resist the urge to hit the beach before even checking into your oceanfront accommodations. 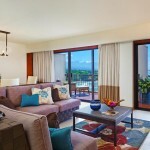 You’ll be glad you did, though, because you’ll be greeted by more mesmerizing views from your spacious private lanai. 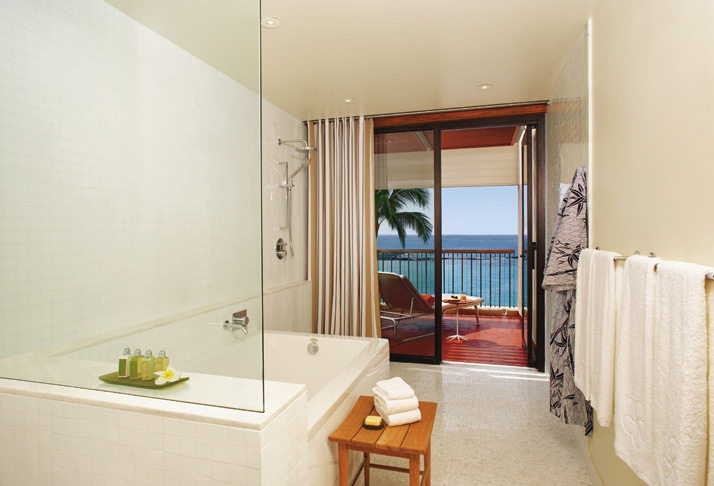 Even the shower and bathtub face the ocean — obviously part of that bliss Mr. Rockefeller envisioned. 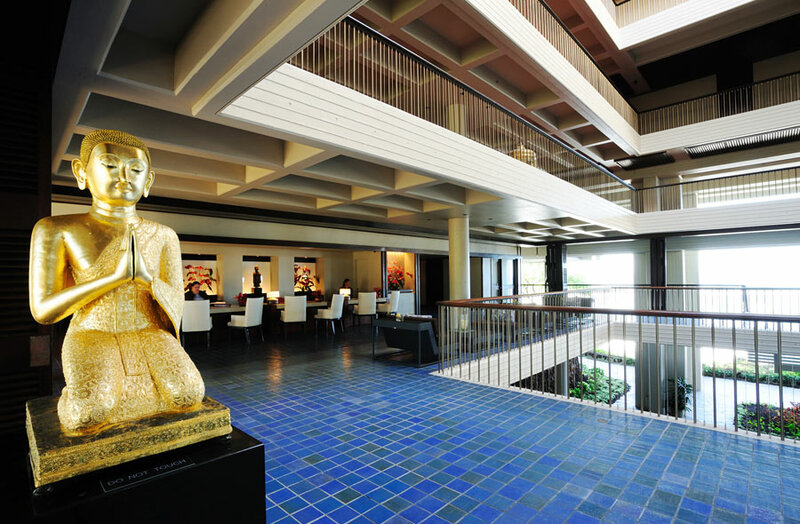 He also felt that the hotel offered a unique opportunity to share the spirit and wisdom of ancient Eastern cultures with the West, so he amassed a collection of 1,600 museum-quality pieces of art from India, Southeast Asia, China, Japan and Polynesia that are placed throughout the hotel. There’s a serene granite Buddha from seventh-century India seated beneath a Bodhi tree, an intricately-carved Maori canoe stern, a pair of winged lions from Thailand, a Japanese lacquered tansu chest and Burmese drums, just to name a few. Two massive bronze koi sculptures that once guarded a Buddhist temple now guard the entrance to the hotel’s main restaurant. 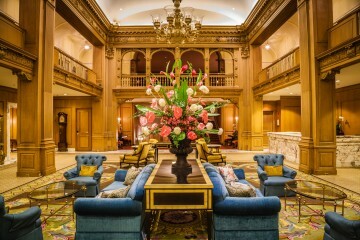 Even though the pieces in the hotel’s art collection are priceless, there are no velvet ropes or glass display cases protecting them. 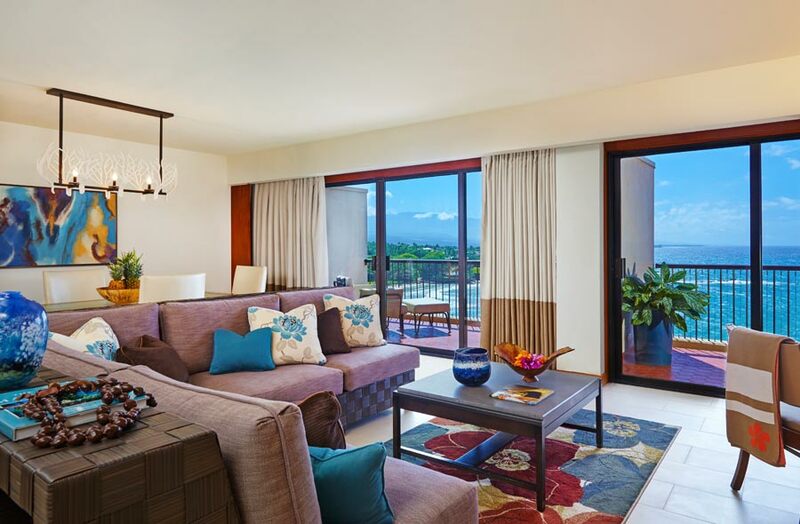 The philosophy here is “look, but do touch.” To represent the Hawaiian culture, handcrafted quilts and intricately-designed kapa bark cloth line the walkways to the guest rooms. 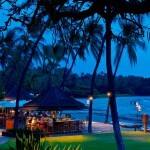 For golfers, Mauna Kea Beach Hotel offers another kind of paradise. Legendary golf course architect Robert Trent Jones, Sr. once said, “Mr. Rockefeller, if you allow me to build a golf course here, this’ll be the most beautiful hole in the world.” He delivered on that promise by creating the course’s spectacular third hole, which is also one of the world’s most challenging. Its cliffside tee and green are separated by a bay, and in case that’s not tough enough, there are seven bunkers to worry about. The course was christened in 1964 by the “Big 3,” Jack Nicklaus, Gary Player and Arnold Palmer, and was updated in recent years by Rees Jones. Today, golfers have the fun option of bypassing a traditional golf cart in favor of balancing on a GolfBoard so they can “surf” their way along the course. 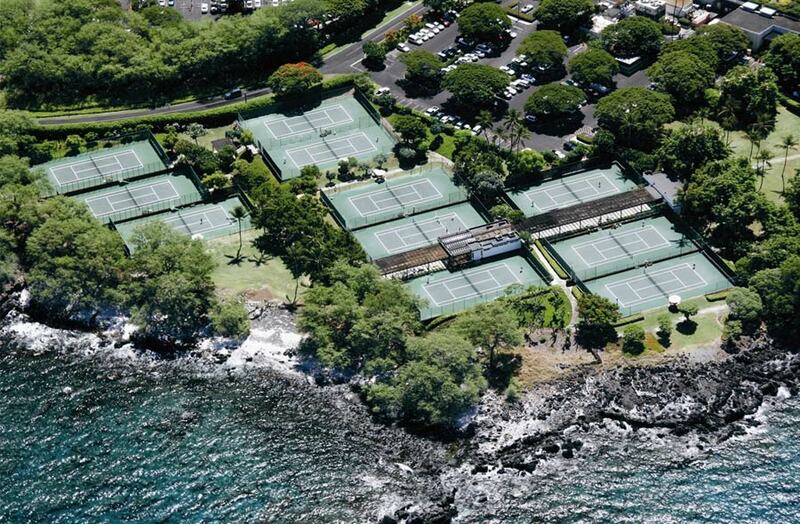 Mauna Kea’s Seaside Tennis Club has been ranked as one of the best in the world, and, as the name implies, all 11 courts are set along the ocean. 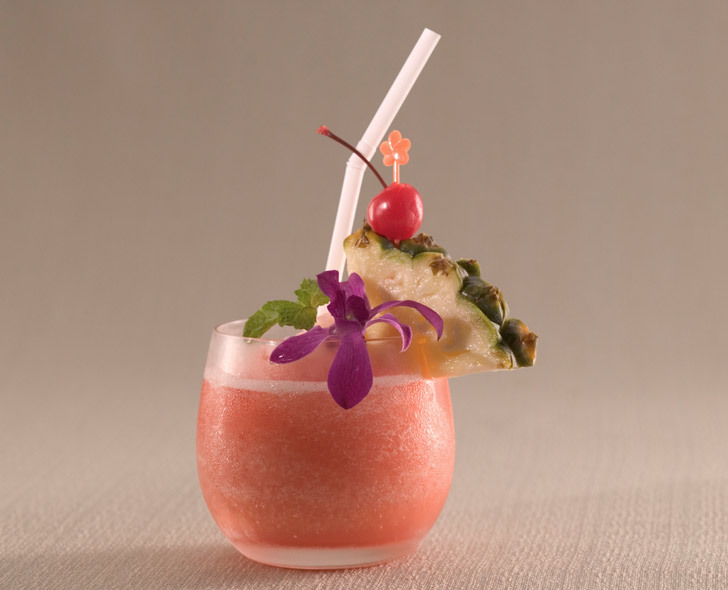 The hotel also features a fitness center equipped with more than 40 state-of-the-art Life Fitness machines, and The Mauna Kea Spa by Mandara offers a full menu of rejuvenating Balinese and Hawaiian-inspired therapies. 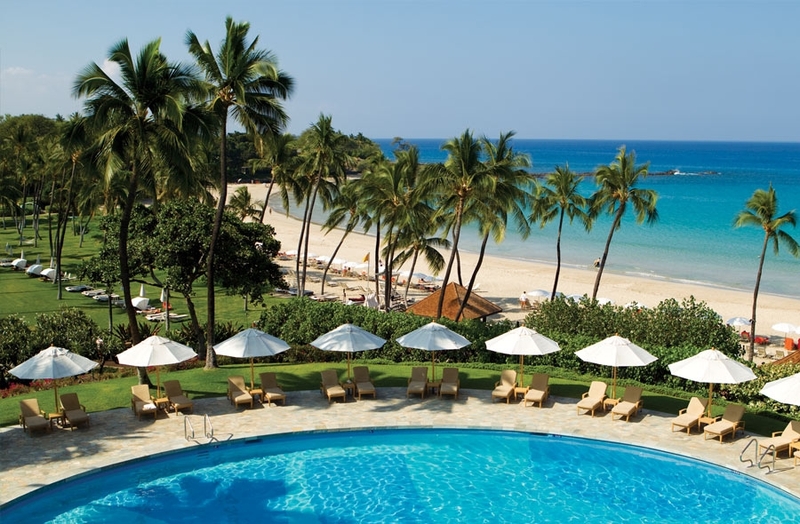 The hotel’s fitness amenities just might come in handy after you enjoy delicious (or ono, as they say in Hawaii) dishes like Batik-Style Chicken Curry (a long-time guest favorite), Pan Fried Mahi Mahi or the chef’s daily Farm-to-Fork Special at the oceanfront Manta restaurant. Be sure to save room for a chocolate or lilikoi (passion fruit) soufflé. 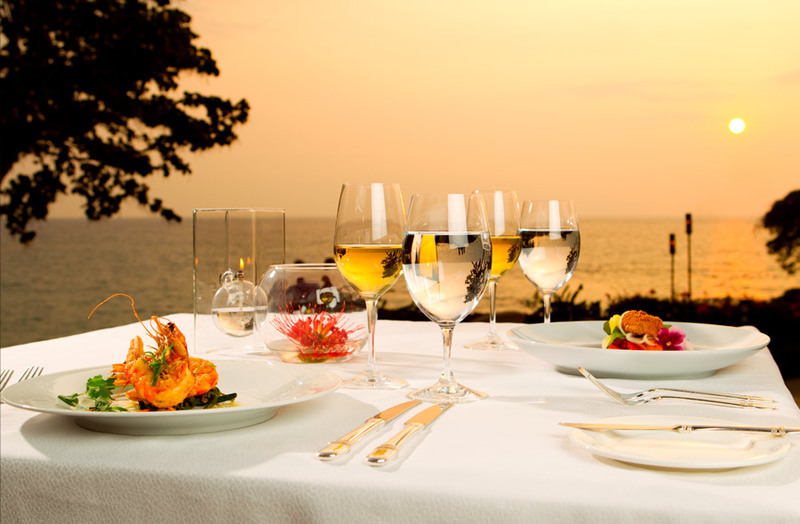 After a short after-dinner stroll down to the shore to watch the manta rays feed, head to the Pavilion Wine Bar where the Enomatic wine experience offers a choice of 48 vintages at the touch of a button. 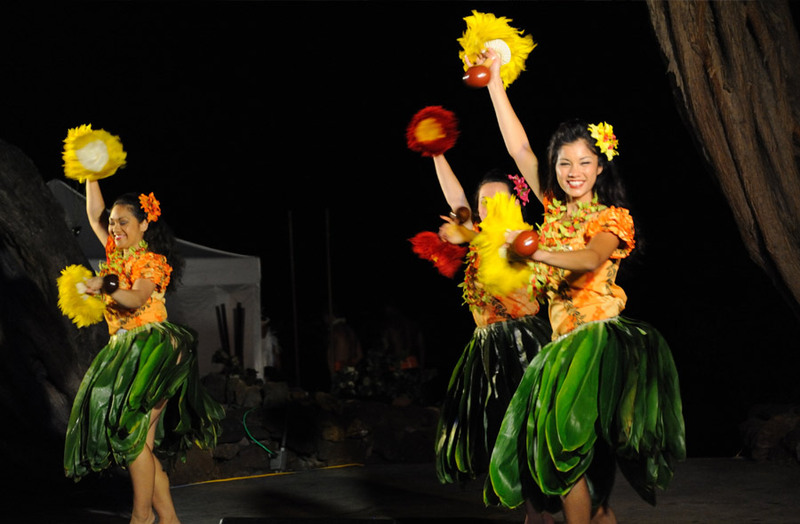 Twice a week, the hotel also offers an oceanfront luau that includes traditional Hawaiian dishes, music, hula and a dramatic fire knife dance. 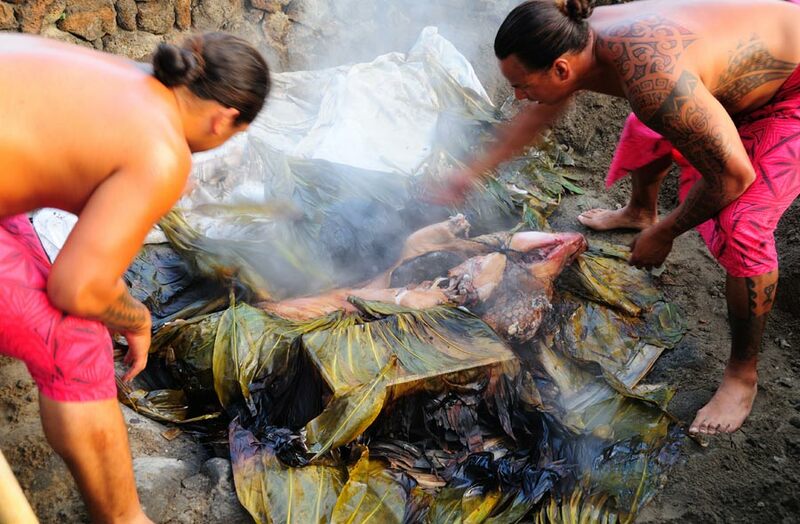 One of the company’s top choices is the “Epic Island Volcano Journey,” a full -day, off-the-beaten path tour that includes a rare opportunity to hike through a lava tube formed in 1881 and explore the current volcanic activity at Hawaii Volcanoes National Park. Kilauea has been erupting continuously here since 1983. 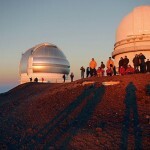 Hawaii Forest & Trail also offers the extremely popular “Mauna Kea Summit & Stars Adventure” that will take you up to the volcano’s summit at nearly 13,800 feet above sea level where you’ll don a hooded parka (yes, in Hawaii) as you marvel at some of the most amazing stargazing available on the planet. 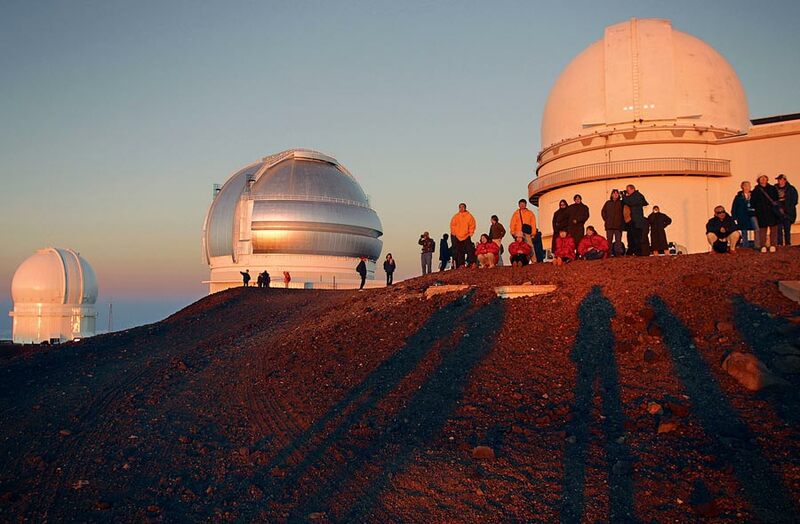 Mauna Kea is home to the world’s largest astronomical observatory because of its exceptionally clear, dark nighttime skies. 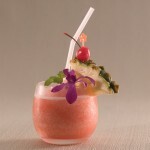 Another way to experience the incredible scenic diversity of the Big Island is by helicopter. 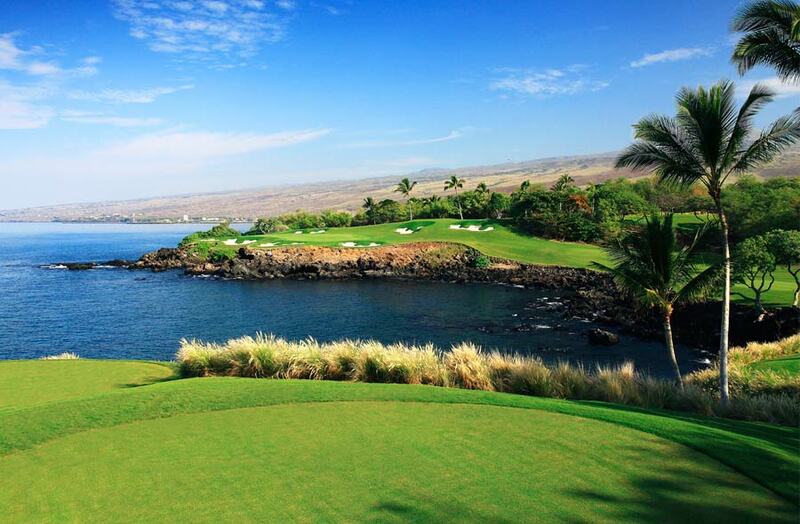 Paradise Helicopters offers the “Circle Island Experience” out of Kona International Airport. The tour flies over coffee farms, the red hot lava flowing from Kilauea, lush rainforests, hundreds of waterfalls and the Big Island’s awe-inspiring valleys and coastline. 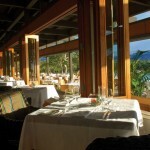 When the hotel opened on July 24, 1965, Laurance Rockefeller said, “May I express the hope and faith that all of us now here and all who come as future guests of the Mauna Kea Beach Hotel will leave in some way renewed in body and spirit.” Fifty years later, his hope continues to be realized by guests who return to the hotel again and again to make new memories that will last a lifetime.